On any of our product pages, select the items options and click the Add to Cart button. If your selection gives you a message about that item not being available, that is most likely an error on my part. 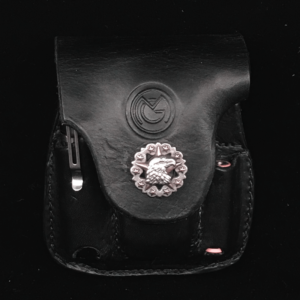 Please contact me using the Contact form or email me directly at info@omgleatherworks.com. I will do anything I can to correct the process for you. That’s an excellent question! Leather is classified by how it’s tanned or stabilized. All leather starts out as animal skins and different animals hides will have properties that lend their use as leather to certain applications. 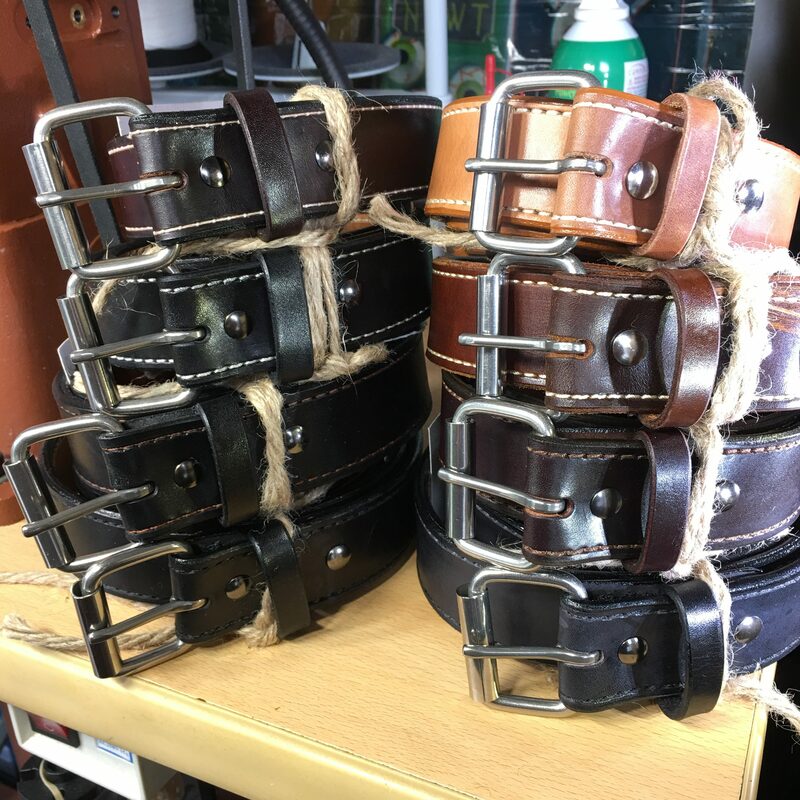 OMG Leatherworks generally uses cow or steer hide that has gone through one type or another of natural, environmentally kind vegetable tanning. Unlike chrome tanning that uses harsh chemicals to turn hides in to finished leather, veg tanning uses variations of natural tree barks, resins, oils, and waxes to stabilize hides in to leather. It’s the types of solutions used that gives the leather it’s working properties. We also use pig skin for linings where appropriate. Pig skin is known for it’s stability and is very resistant to stretching. We use a chrome free veg tanned lining exclusively so as to not damage finishes on firearms or knives. Teach Me! I Seek Knowledge! I get asked about classes all the time, the answer is basically, Yes. I will give instruction in my home/studio or at the location of your choice. If you have tools that you want to learn how to use or a group that would like a structured project – I’m your guy. Pricing is either a flat rate, per student, or hourly depending on the situation. 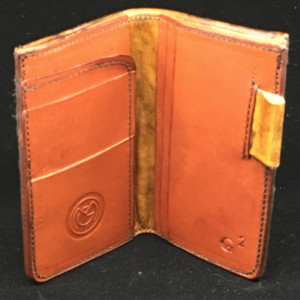 Email info@omgleatherworks.com for details or use the Contact page.